According to reports, the motor scooter he was riding collided with a vehicle on the corner of Waterfront Drive and Customs Road, in the vicinity of the Road Town Ferry Dock and the Commercial Court. 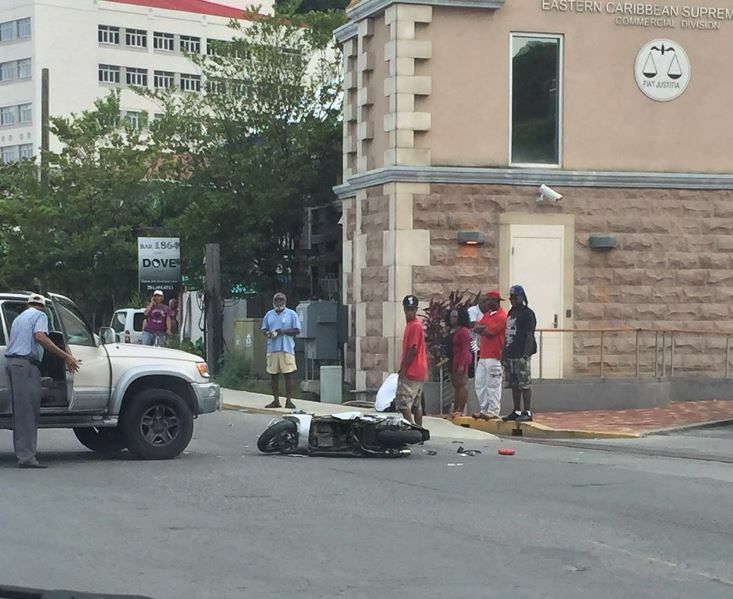 Only yesterday, May 26, 2016 a motor scooter and a rental car were involved in an accident at Wickham’s Cay II. There were no reports of injuries. These bikes are becoming a REAL nuisance. I am one foot off the 'ban them" band wagon. 3 scooter accidents in 24 hours I say ban these darm things. The government show of put this NHI for them and name it MOS meaning men on scooter because them making good use of it. this was another Blunder by these scooter riders people .. This is just proof that people just post the first thing they hear without verifying. Proof that the news is not always accurate. This news site said he escape injury, another said he went to Peebles for Medical Treatment.